Autism screening is a valuable tool experts use to determine if a child is following typical development patterns and whether or not further testing for autism should be done. It’s important for parents to be informed about autism screening to know how their child’s development should be monitored. The following questions will help you understand autism screening. An autism screening is a series of questions about your child’s social, communication, and behavioral development that helps professionals determine if your child needs to be further evaluated for autism. The screening does not diagnose autism, but rather identifies possible issues. The American Academy of Pediatrics (AAP) advises that doctors screen all children for autism at 18 and 24 months old, or any time that concerns about autism are raised. One of the most commonly used autism screening tools is the Modified Checklist for Autism in Toddlers (M-CHAT), one of the tools recommended by the AAP. What happens in an autism screening? An autism screening is typically very brief, often taking less than five minutes to complete. Parents will usually be asked or given a questionnaire about their child’s development. For example, the M-CHAT consists of 23 yes/no questions about your child’s development. Examples include: “Does your child: take an interest in other children / try to attract your attention to his/her own activity / sometimes stare at nothing or wander with no purpose.” Your pediatrician should review and score your answers to assess your child’s risk for autism. My child passed the screening, but I still have concerns. What do I do? Any time parents have concerns their child may have autism, the child should be sent for further evaluation, regardless of the score on a screening test. Even if your pediatrician doesn’t give you a referral, you can always contact your state’s early intervention program for a free assessment. My child didn’t pass the screening. Now what? The AAP recommends that the child then be referred to a specialist for a thorough autism evaluation, as well as a hearing test and early intervention services. It’s important to stay on top of things and make sure your pediatrician is conducting autism screenings at the appropriate times to keep apprised of your child’s development. If your pediatrician does not conduct a screening, don’t hesitate to ask about it and advocate that your child be screened. You are your child’s strongest voice, so speak up if necessary and make sure your child is screened, especially if you have concerns of autism. Autism screening does not diagnose autism, but is used to help experts identify which children need further testing. The American Academy of Pediatrics recommends that children be screened for autism at 18 and 24 months. Autism screening typically takes only a few minutes. If your child doesn’t pass the screening, he or she should be referred to a specialist for further evaluation. American Academy of Pediatrics Clinical Report. 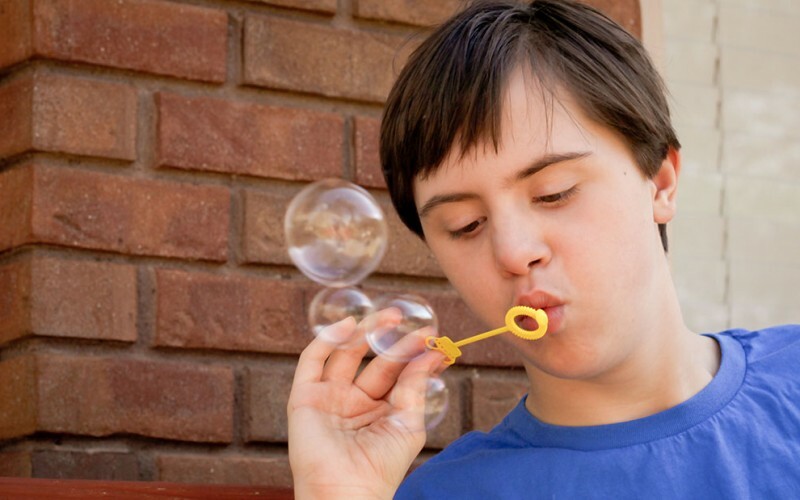 Identification and Evaluation of Children With Autism Spectrum Disorders. Pediatrics 2007 120: 1183-1215. Centers for Disease Control and Prevention. Autism Spectrum Disorders: Screening. Thanks for the great article! i didn’t know there was a screening tool for children so young. Will my pediatrician automatically screen for autism or should I ask that it be done? The American Academy of Pediatrics recommends that all pediatricians begin screening for autism by 18 months of age, so more than likely your pediatrician is already aware of the necessity. Some doctors will give you screening questions to fill out during your visit, others may review the questions themselves during the actual exam. Regardless of your pediatrician’s style, the screening serves the same purpose – to alert him or her to the autism red flags in the hopes of an early diagnosis and intervention.